HOUSTON (KTRK) -- This is her 'fight song.' 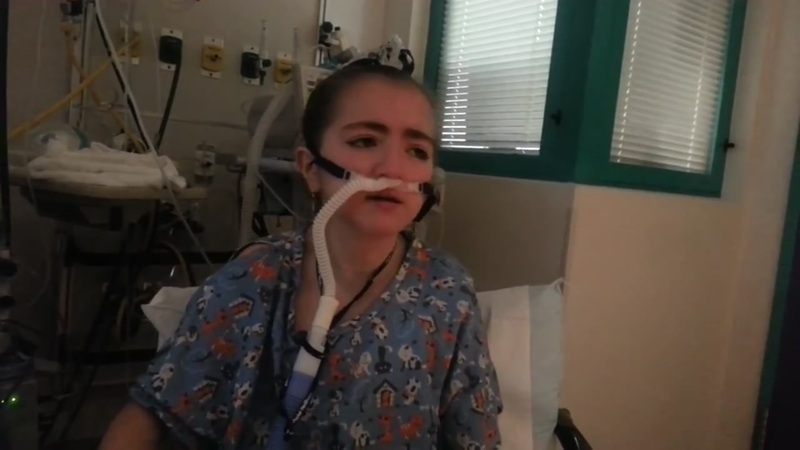 A 13-year-old girl at Texas Children's Hospital isn't giving up her fight to get better and is actually singing about her battle to survive. 13-year-old Angelina Flack is a honorary model with TL Modeling Agency in Sugar Land. She end-stage 4 Cystic Fibrosis, which is a genetic condition in which the lungs and digestive system become clogged with thick sticky mucus. Flack's right lung collapsed in February. She has been waiting over 16 months for a double lung transplant, but she is not giving up her fight. She sang Rachel Platten's "Fight Song" from her hospital bed to inspire other children battling illness. TL Modeling Agency is helping Flack stay encouraged by collecting handwritten/drawn card with words or inspiration and hope. TL Modeling Agency would like to bring the cards to her in the hospital next week.